Oh my! This is magnificent! One of your best, at least recently. Very vivid, with excellent lighting. And what a wonderful umbrella she's made...you've captured it beautifully. That's a beautiful green canopy, my friend. Just makes me want to lie down and look up a while. Love this shot! Thanks for sharing! Hop on over to check out my Ben gazing at the sunset! 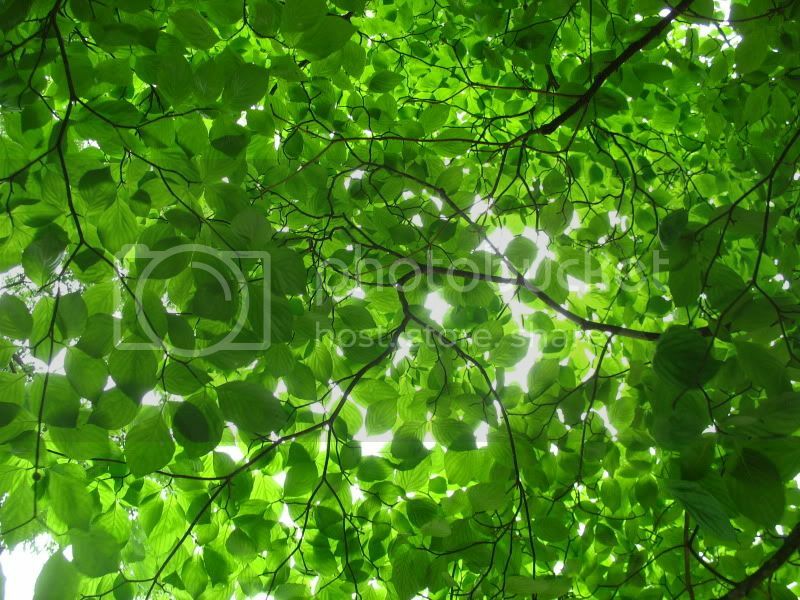 So refreshing looking I imagine a canopy cooling summer rays. It looks so fresh and clean and bright...beautiful! Wow, that is just a vivid shade of green. It does make me think of sunlight filtering through canvas. I love this natural umbrella and the old houses from your my world post. All these Spanish style houses remind me of St.Augustine, Florida. Love it!!! Awesome spring greens and beautiful lighting. I love it. What a beautiful photo and I love the title/caption you gave it. what a beautiful photo - i love this one. That bright green and the natural light ..looks like stained glass almost, so pretty. That's my favourite colour, cool! very creative title, it's really impressive, a perfect nature's umbrella! I simply fell in love with this shot!